and you don’t have to open up a shop! By becoming an AOK Health Business Partner you have many oportunities and options to push your earning potential further. Build your income through product sales without the hassles! E-Commerce lets you provide convenient interaction with your existing clients. Purchase by phone or online for delivery directly to your business or to your customer. As an affiliate, you can make additional income, every time one of your clients purchases from us via your website, – and you don’t even have to stock product. Every dollar that you spend earns you credit for your next purchase! 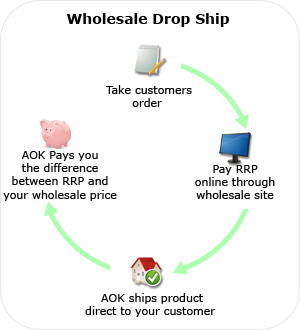 Benefits of Wholesale AOK Health - Order Online and SAVE!! Generate more income from your current customers. Gain access to better price levels on orders as small as 1 item. Make a margin on products that you re-sell to your clients. Enjoy great savings on regular Bulk and Wholesale Newsletter Specials on popular product lines. Enjoy ADDITIONAL REWARDS (up to 7.5%) when you pass monthly totals. Buy in Bulk and make more profit. As a practitioner, there’s nothing better than when a customer wants to give you more money. When you have the product handy for them to see and touch, the hard work is done. AOK Health offers Value Buys - Buy in bulk for further freight savings. These Value Buys are shown on the website next to each product, enabling you to compare unit prices. The difference between what you pay and the RRP represents the maximum return for you. 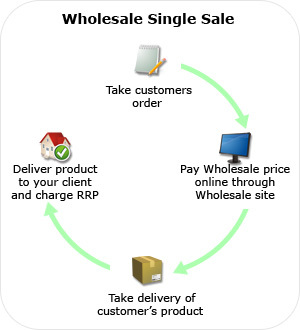 By having product available at your premises allows your client to purchase as required. You will almost certainly qualify for our ADDITIONAL REWARDS giving you even more return on the sales. Simply by registering, ordering and paying online through our Wholesale website, you can quickly be compounding your rewards. AOK Health is offering wholesalers a rebate of between 2.5% and 7.5% of your monthly spend when you pass the following monthly totals. Purchase (and pay) more than $750 (excluding freight) worth of products in a month - and receive an additional 2.5% (of your monthly total) credit sent to you the following month. Purchase (and pay) more than $1500 (excluding freight) worth of products in a month - and receive an additional 2.5% (of your monthly total) credit sent to you the following month. That’s a possible 7.5% extra and above your already low wholesale prices. NB: This offer does not apply to "Specials" but DOES apply to "Wholesale Newsletter Specials" monthly offers. You have an existing web site. Over 600 products available to your customers. You can login to view your Online history of sales commissions. We ship products to your Customer. You receive Commission Payments, 4 weeks from the end of the week of sale. Partner with AOK Health and receive an already profitable online web store... If you provide visitors to your store, sales (and additional profits) are inevitable! Instant web shop with a growing range of over 600 quality health and fitness products all ready to sell via our completely safe and secure payment gateway. 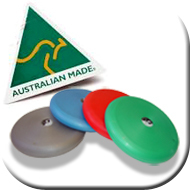 We ship anywhere within Australia using the best couriers. Earn up to 17.5% commission. Benefit from your business network. Earn up to 2.5% from every sale your affiliate makes. Easy to achieve "low-payout" threshold of AU$50, which is transferred into your bank on the 15th of each month. Easy to follow, live commission reports and tracking online. 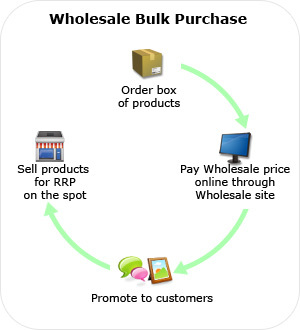 Know that you are offering products that are backed by a reputable return policy and complete customer satisfaction. Quick and easy to set up – you can be earning the same day you sign up. No setup or administration fees for the AOK-branded webshop. Access to affiliate banners to help promote the webshop to your clients. Focus on your core business while making money without the associated overheads of purchasing, storing, selling, packing and shipping. By registering you will be able to move through the checkout process faster, retain multiple shipping addresses, view and track your orders. You will be notified of the success of your application. If you are a current AOK Health customer, chances are you are already registered and have a current Username and Password. To check if this applies to you simply enter your email in the 'Email' field in the login section above and then click on 'Send my password'.